When arrested or charged with a crime in Las Vegas, Nevada it is important to hire an experienced Criminal Defense Attorney to aggressively handle your case. Michael A. Troiano is an experienced Las Vegas Criminal Defense Attorney who has been recognized by The National Trial Lawyers, as a “Top 40 under 40 Nevada Trial Lawyer”, a Mountain States “Rising Star” by Super Lawyers, and received the “10 Best DUI Attorney Client Satisfaction Award” by The American Institute of DUI/DWI Attorneys . Michael has fought for his client’s rights on a variety of different offenses. Criminal Defense is a complex area of law, and in order to protect oneself from a criminal conviction and jail, it is important to hire an attorney who handles criminal cases exclusively, and not an attorney who claims to be a “jack of all trades”. Not only is Michael A. Troiano an experienced and aggressive Criminal Defense attorney, he is also a native Las Vegan. Being born and raised in Las Vegas, gives Mr. Troiano special insight into the pitfalls that one can fall into in this town as well as an appreciation for the realities that comes with living in or visiting “Sin City”. Criminal charges in Las Vegas are broken down into three categories: misdemeanors, gross misdemeanors, and felonies. There is no right to a trial by jury for Misdemeanor offenses in Las Vegas, Nevada. 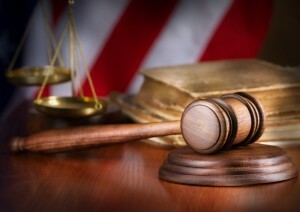 If you go to trial on a misdemeanor offense, the Judge alone will decide the outcome of your case. Therefore, it is important to hire an experienced Criminal Defense Attorney who is in court every day fighting for his clients before these Judges. It is important not only for your attorney to know the law and the facts of your case, it is equally important for your attorney to be knowledgeable of the Judge who is handling your case and provide the client with the best possible defense regarding their matter. Although Misdemeanor offenses are considered the least serious of the three categories, a conviction can result in serious consequences for the defendant, such as fines, expensive classes, a tainted criminal record and jail. A Gross Misdemeanor criminal offense can land a defendant in jail for up to one year, and a conviction cannot be removed from one’s criminal record until seven years after the conclusion of their case. Although not as serious as a felony, a gross misdemeanor conviction can result in probation or jail, in addition to fines and other court costs. Las Vegas Criminal Defense Attorney Michael A. Troiano has successfully represented numerous clients accused of and charged with gross misdemeanor offenses. He will defend your gross misdemeanor case from beginning to end, with the goal of getting the charge dismissed through a trial or negotiation, or successfully negotiate a reduction to a less serious offense such as simple misdemeanor. Felony criminal offenses are the most serious types of crimes that one can be charged with in Las Vegas. A felony conviction can result in a long prison sentence, loss of your right to own a firearm, loss of your right to vote, as well as prevent one from many types of potential job opportunities and special permits and/or licenses. Las Vegas Criminal Defense Attorney Michael A. Troiano has defended clients on a wide range of felony offenses at trial, such as Possession of a Controlled Substance with Intent to Sell, DUI with Substantial Bodily Harm, Sexual Assault, and Attempted Murder, among others. The prosecutor has two routes to bring a defendant to trial when charging someone with a Felony. One is through a Grand Jury Indictment, the other is through a Preliminary Hearing, where a Judge will determine if the prosecutor presented slight or marginal evidence, which will allow the case to proceed to District Court and have the defendant face trial. All Felony offenses in Nevada are decided by a jury of your peers, the Judge in these cases is considered the “referee”, he or she will instruct the jury on the law, but the jury will decide your guilt or innocence. When charged with a felony, and facing the serious consequences that come with it, nothing is more important than hiring a criminal defense attorney with trial skills and experience. Las Vegas Criminal Defense Attorney Michael A. Troiano continually works to provide the best defense possible for his clients when facing felony criminal charges. His goal as a criminal defense attorney is first and foremost to provide his clients with a vigorous defense, but he will also work to keep his clients informed of the entire process and provide an honest and straightforward assessment of their case.